160.73 × 77.26 × 8.1mmmm and Weight: 170g.The phone is made up of plastic with a brushed metallic finish which looks like Metal. Overall build Quality is good Phone has curved edges on the rear can be used in single hand. It has a 5.99-inch (1440 × 720 pixels) HD+ 18:9 display which does not has 2.5 curved glass or gorilla glass. The HD+ Panel on Redmi Y2 produces good colors, Viewing Angles at the same price point Redmi Note 5 Pro and Realme 1 offers Full HD+ Display. Redmi Y2 does not have any display protection it's better to use a Screen protector. Xiaomi Redmi Y2 Powered by 2GHz Octa-Core Snapdragon 625 14nm processor with 650MHz Adreno 506 GPU. It has a 3GB RAM with 32GB storage,4GB RAM with 64GB storage expandable memory up to 256GB with microSD.Out of 32GB around 23GB is available for the user. Snapdragon 625 processor is been used by Xiaomi in Many Phones now Performance in terms of daily use is good, even games run well without any lag or heating issue, performance is much better compared to Honor 7C, Realme 1 has much powerful Helio P60 processor. 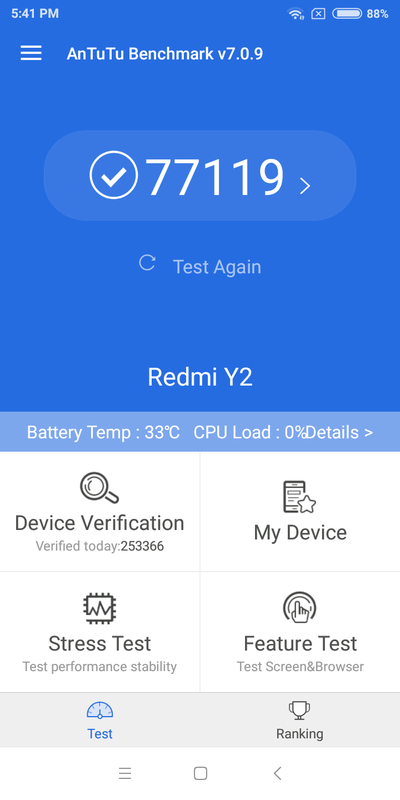 RAM management on Redmi Y2 is much better compared to 3GB RAM variant of Realme 1. 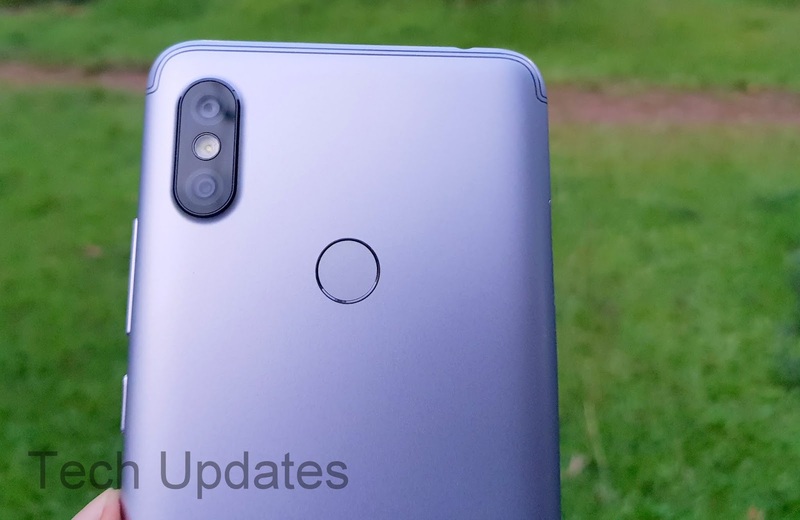 On Camera Xiaomi Redmi Y2 has an a12MP rear camera with LED Flash, 1.25μm pixel size, PDAF, secondary 5MP camera and 16MP front-facing camera with LED flash Both cameras can record videos up to 1080P and has support for portrait mode. Portrait mode needs improvement, Daylight images are good low light average front camera is good. There is also support for EIS Video recording is decent not that Great. Xiaomi Redmi Y2 runs on Android 8.1 Oreo with MIUI 9.5 which comes with Full-Screen Gesture support and will be getting MIUI 10 Soon. It comes with Dual Apps, Second Space, App Lock support, Long screenshot. the user interface is fast and smooth there is no issue. Connectivity options include 4G VoLTE, Wi-Fi 802.11 a/b/g/n, Bluetooth 4.2, GPS + GLONASS. It has support for Jio VoLTE, Idea, Vodafone, Airtel VoLTE Does not work yet which will be enabled via Software update. Audio Quality is decent not that great, Call quality is loud and clear, Xiaomi Redmi Y2 has support for Dual Nano SIM and Dedicated MicroSD slot. It does not support Dual 4G. It has a Fingerprint Scanner and Face-Unlock. Fingerprint Scanner can be used to capture photos, App lock, face-unlock works under good lighting in low lighting it does not work. 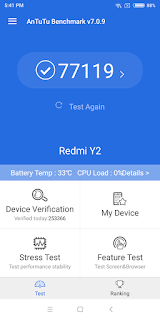 Xiaomi Redmi Y2 is packed by a nonremovable 3080mAh Battery which does not support the quick charge and takes close to 2 hours to charge fully. It is able to deliver one day of battery life on normal use, On heavy use with Dual SIM, Data, Voice calls, Playing games it can last for 13 hours. Battery life is good. Xiaomi Redmi Y2 comes in Grey, Gold and Rose Gold color Priced at Rs 9,999 for 3GB RAM and Rs 12,999 for 4GB RAM model. It offers 18:9 HD+ Display, Snapdragon 625 processor, Decent Camera. Redmi Y2 comes with a plastic build, No Display protection at this price there is Redmi Note 5 with the same processor, FHD+ Display, Bigger Battery Camera's better on Redmi Y2. There is also Honor 7C which has Snapdragon 450 processor, low light camera average. Realme 1 has a better processor, FHD+ Display same plastic body lacks Fingerprint Scanner.